Here’s a free activity sheet for you today. Did you download this CRACK THE CODE??? Here is another way to review! It is a cut, paste, trace, and draw activity. This is one from a set using the Pre-Primer Dolch words. 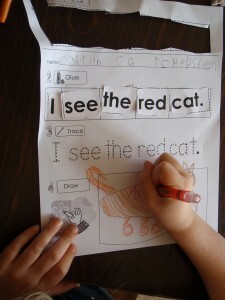 The students must cut out the words, glue them to form the sentence, trace the sentence, and then draw some sort of picture to represent the sentence. 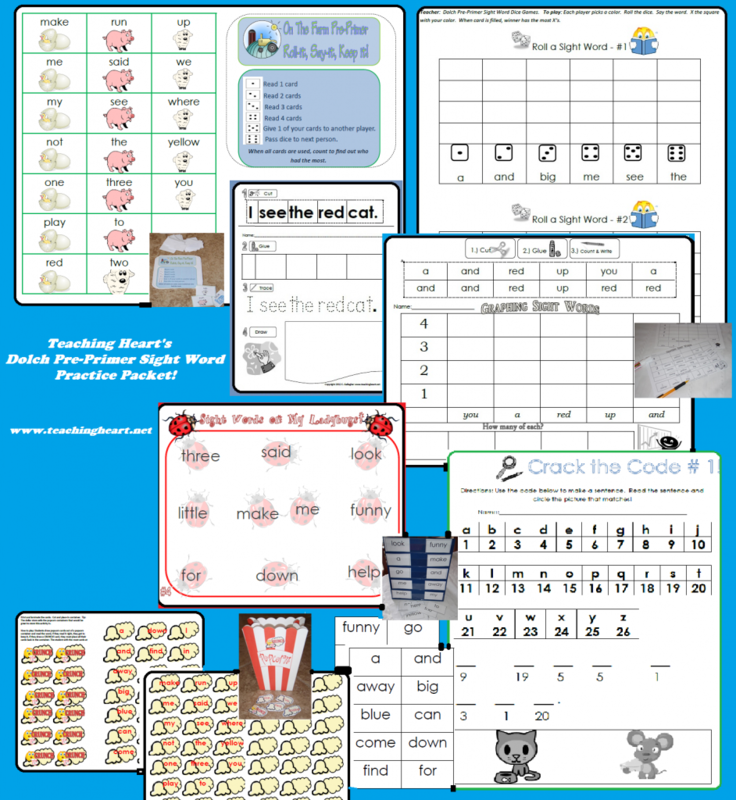 Yep, here comes another FREE sight word printable… Just incase you missed the fun – Did you download this, this, this, and this? 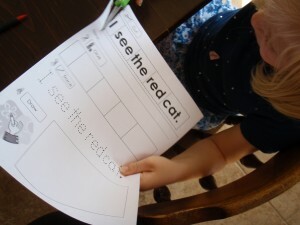 Ok, great… here is another fun sight word activity using the Pre-Primer Dolch Sight Words. 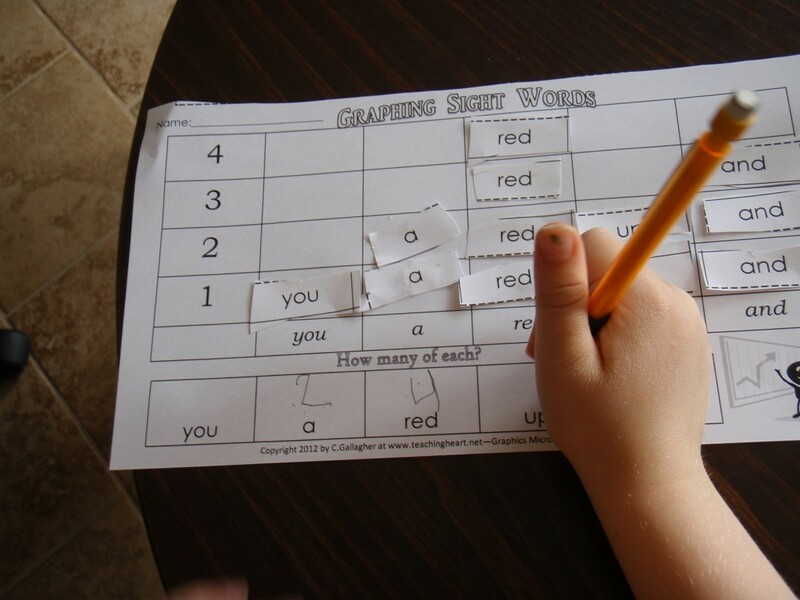 This is extra fun because along with learning the sight words, you will be throwing in some math graphing fun too!!! 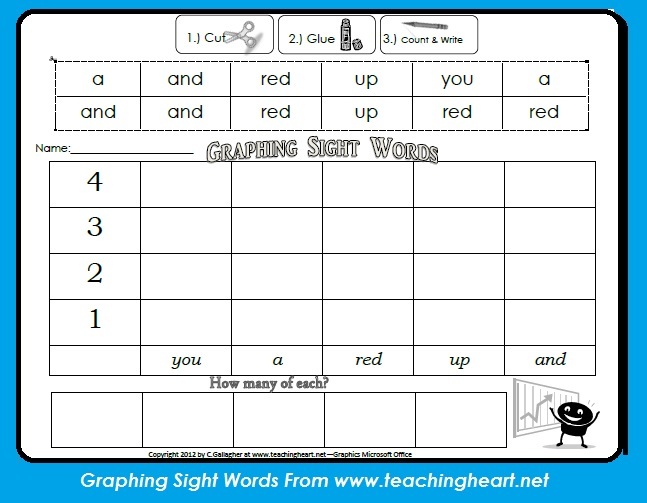 Click to download the free sight word graph printable! 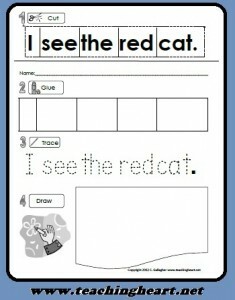 Want more sight word resources? Click here and read through these!! !